The market remains unpredictable and turbulent, being impacted by deep crisis and, at the same time, by the reforms process. And yet debt restructuring and refinancing remain the key trend on the financial market. Rapid changes in legislation and continuing liberalization of currency control regulations by the National Bank of Ukraine keep both clients and legal counsels constantly following the pulse and information flow. Clients have become more demanding. Most of them require efficient, quick and handmade products. Projects involving new money are subject to stricter requirements from lenders and investors. And in general such transactions became more complex and require tailored solutions. Traditionally within the last few years international financial institutions are the active players among lenders. We also see an increase in demand for regulatory advisory, enforcement and insolvency proceedings, sanctions implications, e-commerce/FINTECH. Structuring and assisting with distressed debt trade is an interesting, prominent spot on the market. The recent liquidation of more than 100 Ukrainian banks has led, inter alia, to a tremendous increase in the size of the distressed debt market. And although this significant market opens up brilliant opportunities, there is a crucial need for an efficient legal framework to attract professional investors to come to distressed debt case, which is not still the case for the Ukrainian market. In 2016 the Ukrainian debt restructuring market, as well as all its practitioners, received new hope in the guise of the brand new Financial Restructuring Law, which came into effect this year. The concept of the Law was based on the best practices of out of court debt restructurings and workouts (globally known as the London Approach and less known, but more relevant for Ukraine Istanbul Approach) and was intended to boost the turnaround of economically viable Ukrainian companies in distress, as well as to revamp the Ukrainian banking system. One of the important features of the new law is that it specifically addressed the participation of state-owned banks and the Deposit Guarantee Fund in debt restructuring, given that they now control in aggregate most of the assets in the Ukrainian banking system. However, the authors of the new law have not managed to retain the mechanism whereby non-participating creditors could be crammed down by the majority of votes in the course of court— approved voluntary restructuring, which might be a disincentive for the other creditors to participate at all in the process. However, this mechanism may still appear in the restated version of Article 6 of the Insolvency Law, which is expected to be put to the vote in Parliament soon. In any event, we believe that the new law would create an entirely new market for all professionals generally involved in debt restructuring, including lawyers. Lawyers would act as arbitrators within the procedure stipulated by the law, as well as carry out “viability” legal due diligence and traditionally draft the agreements so as to give effect to restructuring. Other than potential work related to the new law, we see the revival of the Ukrainian Eurobond market, which means the possibility of the new restructurings involving these instruments. One of the most likely transactions in 2017 would be buybacks of Eurobonds and exchange offers to raise money at a better value. Generally, we believe that any debt restructuring should be more viable with new money and we expect to see more new financings than workouts of distressed debt next year. Ukrainian law firm AVELLUM fixed the positions of its outstanding banking and finance, capital markets team. The firm continues to be a legal counsel to the Ukrainian Finance Ministry on sovereign bond issues and cross-border loans. In 2016 the team handled representation in connection with the USD 1 billion issue of notes guaranteed by the United States of America, acting through USAID, and of notes and GDP-linked securities as part of the restructuring of four sovereign-guaranteed loans. The team is preferred by international and domestic banking and financial institutions (e.g., EBRD, ING Bank, Deutsche Bank, PrivatBank) in the course of lending in different economic sectors. It is also mandated for scaled restructuring and liability management projects, acting a lot for creditors. AVELLUM acted as Ukrainian legal counsel in connection with the cross-border transfer of loan assets from UniCredit Bank Austria AG to UniCredit S.p.A., Italy, as part of the wider transfer of the CEE business, including the shareholdings of CEE subsidiaries. Glib Bondar, senior partner, who is fully dedicated to the practice, enjoys a strong reputation. The firm strengthened the team with the experienced Igor Lozenko, who joined the practice as a counsel. Sayenko Kharenko is at the top of the market among Ukrainian counsels for banking and finance and commands outstanding debt restructuring capability. The firm represented some of the world’s largest banks, international financial organizations and corporate clients across a range of financing transactions. Selected project highlights include advising Oschadbank on becoming an issuing bank under the EBRD’s Trade Facilitation Programme; acting as a Ukrainian legal counsel to Citibank, N.A., and Deutsche Bank AG, as mandated lead arrangers and original lenders under a EUR 478 million facility to Naftogaz of Ukraine. Notably, the firm also advised Nordic Environment Finance Corporation on nearly 20 project financings to Ukrainian enterprises and municipalities aimed at implementing energy-saving technologies. The team has strong capital markets expertise. On the restructuring front, the firm was traditionally active with a number of innovative and complex debt restructuring transactions in the market involving a wide range of Ukrainian borrowers, including municipalities, state-owned and private banks and corporates. Overall, the firm handled debt restructuring projects for the total amount of over USD 3 billion. The firm advised a special committee of Eurobonds’ owners on restructuring of a loan participation issued by Shortline plc for the purpose of financing loans provided for JSC Ukrzaliznytsia; handled the final restructuring of sovereign-guaranteed debt of Ukravtodor; acted for DTEK Finance Plc in restructuring of USD 1.275 billion Eurobonds. Partners Michael Kharenko and Nazar Chernyavsky are considered the first port of call for many in high-end and complex transactions. Counsels Anton Korobeynikov and Olexander Olshansky were at the forefront of the majority of projects. 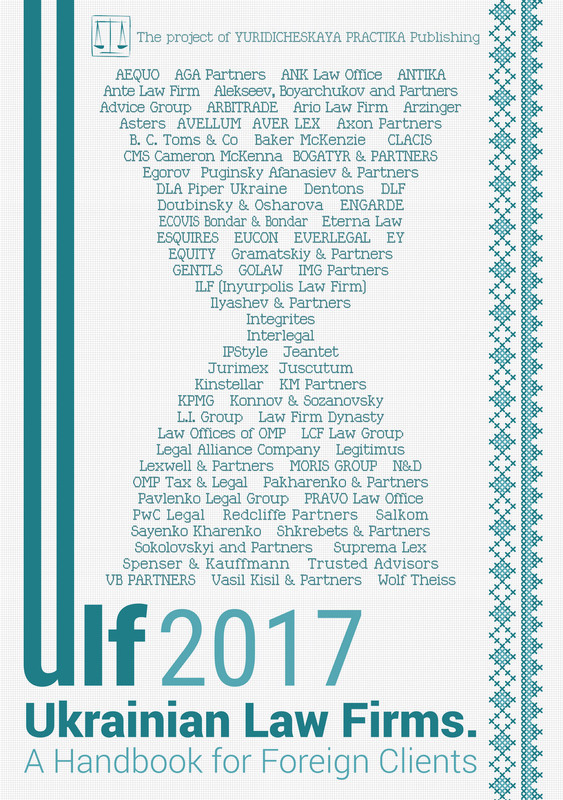 Seniors Iryna Bakina, Yuriy Draganchuk, and Maria Tsabal are on the firm’s up and coming list. Baker McKenzie offers clients worldwide presence and close integration of its banking/finance teams that ensures capabilities for cross-border mandates. The Kyiv team is enlisted to handle large scale and highly important for the economy debt restructuring and liability management projects, and became increasingly active on the dispute side. At the same time, the office is equally present in representations of both borrowers and lenders. Of late the team advised a borrower and its parent DTEK Renewables B.V. in connection with the restructuring of the complex multijurisdictional security arrangement for two loans of Landesbank Berlin AG. Under the guidance of Ihor Olekhov the team advised Eurobank Ergasias S.A., one of the largest banks in Greece, on the sale of its Ukrainian subsidiary, Universal Bank, to TAS Group. Some publishable clients are the EBRD, IFC, Metinvest Group, DTEK Group, EurobankErgasias S.A., Obolon Brewery, Citibank Ukraine, ING Bank Ukraine, State Street Bank, Ukrgasbank, AerCap. Managing partner Serhiy Chorny heads the banking and finance and debt capital markets practices and is a member of the firm’s global restructuring and insolvency advisory committee. He is named among luminaries. With the growing reputation and capabilities of its banking and finance practice, AEQUO enjoys a steady flow of client requests. The firm demonstrates extensive activity in the domestic market. The team acted on one of the major financing of the past year, having advised Naftogaz of Ukraine on borrowing a USD 500 million revolving facility from Citibank and Deutsche Bank for gas purchase from gas suppliers. AEQUO grows its portfolio of cross-border restructuring mandates, advising the consortium of foreign and domestic lenders (including Portigon AG, Ukrgazbank and UniCredit Bank) in the course of restructuring of indebtedness of one of leading car manufacturers in Ukraine. The EBRD enlisted the firm for various high value loan restructurings. Additionally, the firm is present in M&A in banking, e-money and insurance industries. Yulia Kyrpa, partner, manages the 8-lawyer strong team. Asters regularly acts for international financial institutions and development banks on their lending transactions with Ukrainian corporate borrowers. For example, the practice advised the IFC on its loans to agricultural producers Astarta and Integrated Agrosystems, and financing to a fuel supplier, Nadezhda Group. In addition to financing instruction, the firm acted as a legal counsel to the EBRD in connection with acquisition of 40% of the share capital in UkrSibbank, the capital increase of UkrSibbank by UAH 3.29 billion and debt to equity swap. The firm is known for expertise of capital market transactions and cross-border bonds restructuring. This past year it completed the landmark USD 500 million Eurobonds restructuring of JSC Ukrzaliznytsia, where it represented the borrower. The firm’s restructuring portfolio includes assignments of creditors and corporate borrowers, and covers energy, agriculture, retail, banking sectors. The practice is led by two partners, highly respected market authority Armen Khachaturyan, also known for his work in the oil and gas sector, and experienced Iryna Pokanay. Gabriel Aslanian, counsel, is another important team member. Redcliffe Partners has a sizeable practice team that has reached a 7-lawyer capacity. The firm is visible on advising large-scale lending and restructuring projects, acting predominantly on the lenders’ side, with long standing banking clients on board (Credit Suisse, Deutsche Bank, EBRD, IFC, FMO, Natixis, UniCredit Bank Austria, and others). The firm is mandated for cross-border work alongside offices of Clifford Chance and lately led transactions across energy, infrastructure, agriculture, financial sectors. In the recent highlight the firm advised the EBRD and IFC on investment for the construction of a grain terminal in Odesa sea port by a US agricultural giant Cargill and M.V. Cargo. The practice impresses with a large portfolio of multi-million restructuring of corporate borrowers, being enlisted to represent syndicates of banks. Among completed in 2006 public projects is advising Sberbank of Russia and Deutsche Bank AG on the restructuring of a USD 600 million syndicated loan extended to Ukrlandfarming. Managing partner Olexiy Soshenko receives market recognition for deep involvement in practice. The recent global combinations of Dentons enhanced cross-border capabilities of its banking and finance practice. The office is regularly enlisted for cross-border lending, trade finance, sovereign financings, restructuring, distressed debt trade, as well as far reaching regulatory and sanctions advice. Dentons remains a port of choice for financial institutions — EBRD, EIB, Export Development Canada, UniCredit, Sberbank, Black Sea Trade and Development Bank, and regularly acts on the lenders’ side. This past year the firm extended its restructuring track record and currently works across high value restructurings of the corporate and public borrowers, exchange offers and consent solicitations, acquisitions of distressed debts. The firm currently advises CRI Group Limited on USD 1.3 billion debt and corporate restructuring of Mriya Agro Holding. Natalia Selyakova, partner, has led the practice for many years. Nadiya Shylienkova received positive responses for her experience in sophisticated cross-border projects. The practice of DLA Piper Ukraine is busy with financing projects and sophisticated restructuring work, and advised on specific banking regulation, international payment system, debt to equity conversion and sanctions advice. The team is experienced in financing matters in transport, infrastructure, energy, agriculture. The firm advised GIZ, German agency for international development and cooperation supporting the German government, on establishment of Energy Efficiency Fund by international donors and the State of Ukraine to provide a sustainable long-term mechanism to finance energy efficiency projects. Most recently the office has been increasing its focus in banking M&A and non-performing loans sale. For example, the firm advised AHBB in a transaction on disposal by UniCredit of 99.9% held in PJSC Ukrsotsbank in exchange for a minority stake (9.90%) in ABHH. Other clients encompass EBRD, IFC, Alfa Group, UniCredit Bank, Black Sea Trade and Development Bank. The lead partner is Oleksandr Kurdydyk. The senior team includes Illya Muchnyk, Mykhailo Byelostotskiy, Rodion Ignatenko. Arzinger advises on lending, representing mostly creditors, while this past year it demonstrated a strong record of restructuring work. The landmark ongoing project among agrarian corporate borrowers is advising the coordinating committee of banks in connection with restructuring of Mriya Group’s USD 1.3 billion debt. Sberbank of Russia has been advised in connection with restructuring of a USD 600 million syndicated loan facility provided to Ukrlandfarming, and DTEK debt restructuring. The practice enjoys an extensive client base, that includes the EBRD, IFC, Deutsche Bank, UniCredit Bank, ING, Erste Bank, Societe Generale, VTB, Credit Europe Bank, Amsterdam Trade Bank, Intesa Sanpaolo, Landesbank Berlin AG, Raiffeisen Bank, Big Dutchman AG, Oikocredit, BHF-Bank. Highly active throughout the past year, partner Oleksandr Plotnikov heads the practice. With an established CEE network CMS Cameron McKenna is known for advising on finance transactions in the energy and natural resources, agricultural and infrastructure sectors. The firm benefits from its ability to handle multijurisdictional English law governed deals, most recently acting predominantly on behalf of lenders. The firm constantly advises the EBRD on municipal and infrastructure projects in Ukraine. The firm has vast experience of work with non-performing loans and large restructuring projects. For example, it advised PJSC Alfa-Bank (Ukraine) on the restructuring of a multimillion dollar financing of PJSC Toronto-Kyiv. Mark Segall, the Prague-based partner, is a lead partner. Other team members are Kateryna Chechulina, Vyacheslav Ovechkin, Tetyana Mykhailenko. Egorov Puginsky Afanasiev & Partners Ukraine has a well-versed banking and finance, capital markets practice. Most recently, EPAP Ukraine acted as legal counsel to the EBRD in connection with the original secured loan facility to an oil and gas production company, and the subsequent restructuring and release of security. The Kyiv team is active in restructuring and advised two major international banks on restructuring of pre-export facilities and issuance of further funding instruments by one of the biggest Ukrainian industrial groups. Among significant high profile clients are Credit Suisse International, Deutsche Bank, Morgan Stanley International & Co PLC, UBS Limited, VTB Capital and others. The team is led by partner Roman Stepanenko. 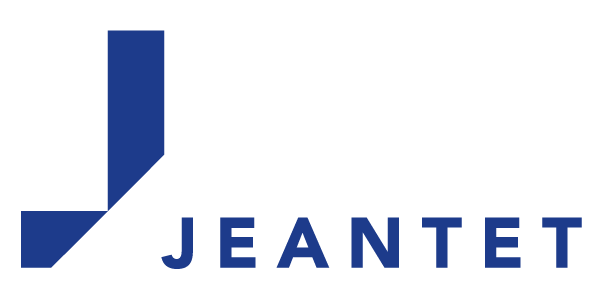 Jeantet, a French international law firm, is active in supporting cross-border lending deals, of late on the lenders’ side in the main, and is particularly often chosen by international financial institutions. The team advised the European Investment Bank (EIB) on matters of Ukrainian law with regard to the USD 260 million loan facility, extended to UkrEximBank and on a USD 75 million secured senior loan to Nibulon Group. This past year Jeantet acted on restructurings, having in its portfolio a number of multimillion cross-border mandates. The largest completed projects were advising Amsterdam Trade Bank N.V. with regard to the USD 436 million restructuring debt owed by a Ukrainian energy holding. Promoted to local partner, Igor Krasovskiy is among extremely busy professionals this year. The project workflow is overseen by Kyiv-based managing partner Bertrand Barrier. Integrites is extending its presence on the transactional front, as well as performs a solid record of restructuring work, loans portfolio management. The firm has an established position for trade finance matters, and recently advised Rabobank International on a trade finance facility to Quadra Commodities SA. The firm advised Credit Agricole Ukraine on its participation in the EBRD’s trade facilitation program and signing of a term loan facility agreement, as well as a trade finance facility to boost the export of products from Ukraine. With its well-equipped network of offices, the firm handles a range of regulatory work counseling on Ukrainian and Russian law. The practice is led by two partners, Oleh Zahnitko and Vsevolod Volkov. USD 87.5 million. Azovmash entrusted the team to support its debt restructurings. The firm actively works with insolvent domestic banks and bank resolution, supporting subsequent procedures involving Omega Bank and Finance and Credit. Andriy Nikitin is the practice’s lead partner. The litigation workflow is handled by Oleg Malinevskiy and Viktor Barsuk. Vasil Kisil & Partners is involved in financing and refinancing, project financing, specific compliance issues, restructuring, factoring, and most recently is a very active force in debt collection cases, and advice on non-performing loans. The firm advised AWAS, international aircraft owner and lessor on corporate, debt and securities restructuring due to change of financing partner from BNP Paribas to Wells Fargo Bank. Another highlight is advising international financing operator of online microlending b2p platforms in numerous jurisdictions on structuring another online platform for borrowing money from both private and institutional investors. The firm’s current dispute portfolio includes representation of Latvijas Krajbanka, one of the major Latvian banks, in debt collection litigations/liquidation procedure of a Ukrainian bank. The clientele of the practice includes BNP Paribas, Hellenic Bank, Confidence and Guarantee Insurance Company, Foreign Alternative Investment Fund Manager, IMS, AFI Development Plc, World Bank, IFC. Alexander Borodkin and Anna Sisetska are the key contacts for this practice. Counsel Oleksiy Sluch, who handled representation of clients in banking disputes, left for Integrites. Launched in Kyiv in March 2016, Kinstellar completed its banking practice with the hire of Andriy Nikiforov from Baker McKenzie. The practice also advises on regulatory and compliance and banking litigation. The office attracted a significant client base out of banking institutions and industrial majors, like Ferrexpo AG and Ukrbud. Managing partner Kostiantyn Likarchuk is known for his strong cross-border dispute resolution skills. Other team members are Iryna Nikolayevska and Serhiy Mykhaylyk. Spenser & Kauffmann reestablished its practice, accumulating the team into M&A, banking and finance practice by attracting banks, agro-holdings and developers. Throughout the past year the firm actively targeted its service of international asset tracing of debtors, acting for major banks, and added to its profile cross-border loan restructuring assignments. The firm advises INFIKO-HOLDING, LLC, the enterprise of the Slobozhanskaya Building Ceramics group of companies on restructuring of debt to a factoring company with subsequent legal support for court proceedings and business protection. The firm also renders regulatory advice within scaled M&A deals, assets structuring, and has an established following in the insurance industry. The practice head is the firm’s counsel Nickolas Likhachov. Tatiana Daniltseva, partner, heads insurance and tax. Wolf Theiss is known for its experience in financial restructuring and debt collection, while recently the firm has added regulatory and non-performing loans advice. Among the highlights of the team is advising Erste Group on the contemplated sale and transfer of a portfolio worth over EUR 300 million in non-performing loans granted, and financial lease agreements, executed by its related entities. Another project is giving advice to Vakif Bank on Ukrainian laws and regulations applicable to the forced liquidation of a Ukrainian bank. Oksana Volynets is head of practice. Ilyashev & Partners is active in restructuring and litigation, and is often enlisted for cross-border debt collection matters involving CIS countries. The firm advised SE Antonov on USD 49.4 million bond restructuring of Avian Plant before the state. BTA Bank Ukraine instructed the firm for advice on the buy-out of shares from minority shareholders of BTA Bank and to handle restructuring work with its corporate borrowers. The dispute resolution team acts for PZU Ukraine on challenging decisions by the National Commission on Regulation of Financial Services. Managing partner Mikhail Ilyashev is the primary contact. Oleksandr Vygovskyy is the key practitioner. USD 4.1 million dispute on termination of agreement and funds collection with PJSC Petrokommerts Bank-Ukraine. The practice combines the forces of two practices: litigation is led by Andriy Savchuk, and competition and financial law is headed by Maryan Martynyuk. Allen & Overy has a 12-lawyer team involved in banking and finance, and corporate projects involving Ukraine. The London, New York and Amsterdam offices advised Metinvest, a vertically integrated steel and iron ore producer, on circa USD 2.2 billion financial restructuring. The legal team covered advice on English law (Andrew Trahair, Mark Sterling, Jeanette Cruz), Dutch law (Brechje van der Velden) and NY Law (Dan Guyder, Elizabeth Leckie). Herbert Smith Freehills has around 20 lawyers across its global network regularly advising on deals involving Ukraine. The recent portfolio has taken in large-scale restructurings of Ukrainian corporate borrowers. The firm rendered advice on English and Russia law to Sberbank of Russia, and provided coordination of counsels in Cyprus, Switzerland and Ukraine, in enforcement options and subsequent restructuring of the USD 600 million facility to Ukrlandfarming. The project involved a series of partners, namely, Artjom Buligin, Vladimir Melnikov, Edward Baring, Olga Davydava, Jeremy Garson, Nicholas Peacock, Ian Gatt. The firm advised Sberbank of Russia on restructuring of the USD 400 million facility agreement with DTEK Group. The lead partners were Evgeny Zelensky and Artjom Buligin. White & Case is among the principal international legal counsels on capital markets and subsequent restructuring mandates. The firm acted as international counsel to the Ministry of Finance of Ukraine on the USD 1 billion Eurobond issue due 2021 fully guaranteed by the US, acting through the USAID; on issue of notes and GDP-linked securities (as part of the restructuring of four sovereign-guaranteed loans to Ukravtodor and Yuzhnoye State Design Office); on a loan from Turkey to Ukraine to finance the needs of the State Budget. On the restructuring front, White & Case acted as English law counsel to JSC Ukrzaliznytsia in the course of USD 500 million Eurobond restructuring. The London-based partners working on Ukrainian matters are Ian Clark, Doron Loewinger, Michael Doran and Stuart Matty.